As more homeowners strive to adopt a more practical lifestyle, buying manufactured homes in Goldsboro, North Carolina, has become increasingly common. Living in manufactured homes in Goldsboro offers a wide range of benefits, such as cost savings and selling flexibility. In the event you contemplate getting one, turn to Home Connections, one of the leading providers of manufactured homes in Goldsboro. What Makes Manufactured Homes in Goldsboro Different From Site-Built Homes? Home Connections offers manufactured homes in Goldsboro that have a complete range of amenities and allow for the same living conditions as a conventional house. However, one advantage manufactured homes in Goldsboro have over their site-built counterparts is that they are considerably less expensive. In addition, our manufactured homes in Goldsboro are constructed based on a systematic and rigorous set of standards, ensuring a consistent level of quality. Manufactured Homes in Goldsboro Help You Save on Energy Costs: Home Connections' manufactured homes in Goldsboro have many energy-saving features. You can expect to have significantly lower energy costs as compared to living in an old, traditional house. Enjoy long-term savings by moving to a manufactured home today! Manufactured Homes in Goldsboro Are Constructed According to High Standards: Manufactured homes in Goldsboro are typically built in a factory that has efficient construction practices and quality control processes. Our houses are durable, stylish, and comfortable because we strictly adhere to a set of home construction standards. Manufactured Homes in Goldsboro Have Better Selling Flexibility: Owners of manufactured homes in Goldsboro have the ability to sell their houses without having to give up their lots. All they have to do is have their manufactured homes transported to the buyers' preferred locations. Manufactured Homes in Goldsboro Provide You With a Sense of Community: A lot of manufactured homes in Goldsboro belong to vibrant communities, some of which offer opportunities for social interactions. You'll still have a sense of privacy while establishing amazing bonds with your neighbors. Highly Knowledgeable on Manufactured Homes in Goldsboro: Our main sales staff members also happen to be our owners. They have decades of invaluable experience in constructing and selling manufactured homes in Goldsboro and other locations. They are fully aware of the standards that need to be followed and know this business like the back of their hands. On top of that, they are local residents who were born and raised in the area. This means that they are also invested in the security and comfort of our customers and their families. In-House Service Team Handling Manufactured Homes in Goldsboro: Even after you purchase a manufactured home from Home Connections, we will continue providing you with outstanding customer service. We have a dedicated, in-house service team that can address any problems you may face in the future. Our team has a fully equipped truck and is capable of fixing a wide range of issues. With us by your side, you won't ever have to hire a third party. Mortgage Loan Assistance for Customers Buying Manufactured Homes in Goldsboro: People who currently do not have the financial means to purchase a home may still be able to get manufactured homes in Goldsboro. Home Connections is fully qualified to assist you in getting a home loan. We have solid ties with a lot of trusted lenders in the area. Our team can help you become qualified for VA, FHA, USDA, and conventional loans. When looking for manufactured homes in Goldsboro, you definitely can't go wrong with a trusted name like Home Connections. We have pleased a lot of homeowners because of the exceptional quality of our manufactured homes in Goldsboro. Our team wants you to also experience the happiness they felt when they first saw the homes they purchased from us. 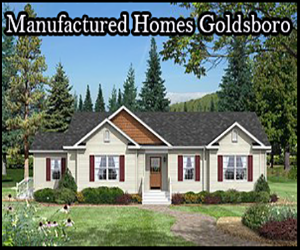 To learn more about our company and the manufactured homes in Goldsboro we offer, visit our website today. The switch from mobile houses to manufactured homes is beyond a simple name change. Constructed to the HUD code, manufactured homes have undergone the highest standard of home construction and design to date. This makes them far superior to older movable homes and an increasingly popular housing option on the market. Are you planning to buy a home? Live the American Dream with our economic and sustainable housing solutions! At Home Connections, your dream home is within your reach. Get in touch with us today at 910-298-3387. To get additional details about our company, prices, and more visit our website. We have the best prices on the market.